Alan Slifka (1929-2011) was a far-sighted philanthropist who entrusted Brandeis with helping his vision of coexistence flower in communities around the world. For him, peace was not simply a great idea, it had to be served by professionals. 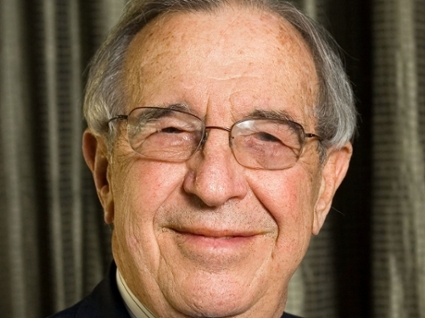 In 2010, the Alan B. Slifka Foundation (his philanthropic foundation) made a $4.25 million gift to the university to expand the nine-year-old Master's Program in Conflict Resolution and Coexistence and to continue its pioneering work educating leaders in the emerging field of coexistence and shared societies. The gift established the Alan B. Slifka Chair in Conflict Resolution and Coexistence, moved the program to the Heller School for Social Policy and Management and provided additional faculty and program enhancements. Professor Alain Lempereur was appointed as the inaugural Alan B. Slifka Chair at Brandeis University in September 2011. He is also the director of the Graduate Programs in Conflict Resolution and Coexistence at the Heller School for Social Policy and Management. Slifka program alumni serve as diplomats, aid and development specialists, lawyers, journalists, and program managers in trouble spots around the world, including Israel, Latvia, Rwanda, Serbia and Sudan. In honor of his parents Alan created the Sylvia and Joseph Slifka Israeli Coexistence Scholarship at Brandeis. It is awarded nearly every year to two Israeli citizens -- one Arab and one Jewish -- who are committed to, and will work to foster, greater tolerance and understanding between Arab and Jewish Israelis. Slifka received an honorary doctor of human letters degree from Brandeis in 2003. Slifka was born in New York City in 1929, graduated from the Fieldston School, received his bachelor's degree from Yale in 1951, and earned an MBA from Harvard in 1953. He founded and served as co-chair of Halcyon Asset Management. He was also founding chair of the beloved Big Apple Circus and co-founded the Abraham Fund Initiatives, the first not-for-profit organization created to further coexistence between Israel's Jewish and Arab citizens. His foundation concentrated on the perpetuation of Jewish values and education in Israel and the Diaspora; the enhancement of coexistence within the borders of Israel, essentially between Jews and Arabs, but also between secular and religious; the advancement of coexistence and social cohesion as a governmental responsibility and priority globally; research on benefits of coexistence in a shared society and medical research in the areas of autism and Asperger's syndrome and cancer research. President Emeritus Jehuda Reinharz and Professor of Intercommunal Coexistence Mari Fitzduff, who was the founding director of the Master's Program in Conflict Resolution and Coexistence, both cited Slifka's unwavering courage and commitment in pursuing his goal. "Alan Slifka was a very courageous visionary who believed that the Abraham Fund, which he created, would facilitate improved relations between Israel and its neighboring countries," Reinharz said. "The Slifka Scholarships, which he created, have brought to Brandeis for well over a decade Israeli Jews and Arabs who are passionate, as he was, in achieving this vision. Alan was a kind, caring human being who truly believed it is possible to make our world a better place, and went about all his life trying to do just that," Reinharz said. Professor Fitzduff said she watched Slifka move from low-key dialogues to tough issues of policing and economic and social exclusion. "From concern about coexistence in Israel, he moved to concern about coexistence in the whole world," she said. "Alan fostered the ideas and terminology of coexistence in many countries," Fitzduff said. "His commitment was quite extraordinary." Alan Slifka remains for all of us a powerful and committed believer and actor in coexistence studies and longtime Brandeis supporter. His vision is perpetuated each time a member of our community of theory and practice makes a decisive step in the right direction towards peaceful coexistence.